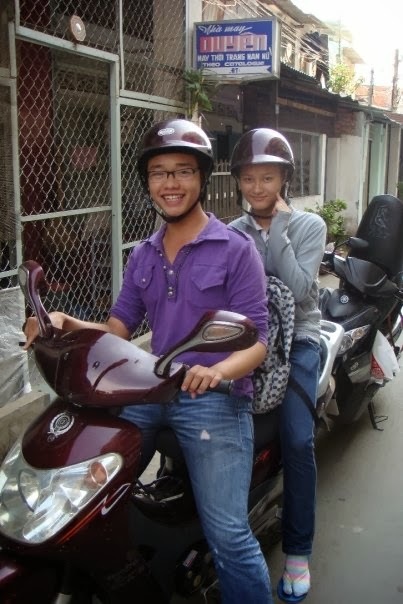 This weekend Zach and I went to Jessi's home town of Tay Ninh with her friend Quan. Jessi is one of my students who I have become good friends with over the last few months. 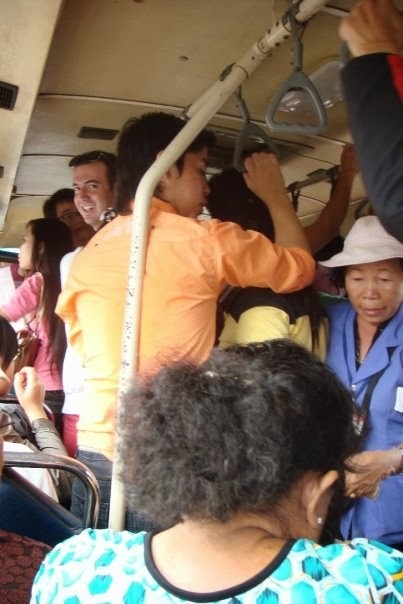 We took the city bus there which meant that we transferred buses three time, sat next to people who where throwing up in their face masks (Vietnamese do not have strong stomachs) and men were smoking inside the bus which I took upon myself to stop. For the first time in seven months I had a home cooked meal and it was good! The best food I have had in Vietnam since living here. 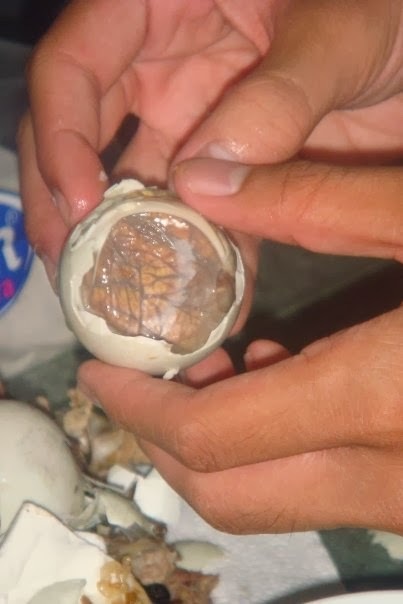 For dessert, however, we had baby chicken fetus's still in their shell. It was disgusting. It was all there; head, bones and feathers. Zach ate the whole thing but knowing that I am grossed out by chicken on the bone this was really pushing it for me. I had a bite,everyone was waiting for me to eat it and love it. It was the least I could do. Things are always bigger in the country, well at least in Vietnam. The small harmless geckos in the city had morphed into giant lizards in the country crawling along the walls. The first time I saw one I couldn't even scream because I was speechless with shock. I just pointed and took a deep breath. I did not want to draw attention to my city girl/ American standards of living. 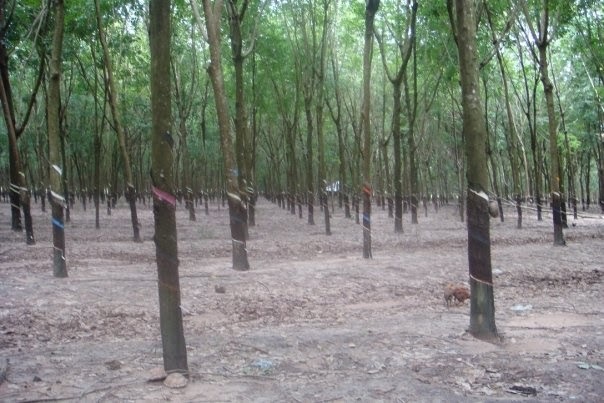 Jessi's family owns a rubber tree farm which was very cool. 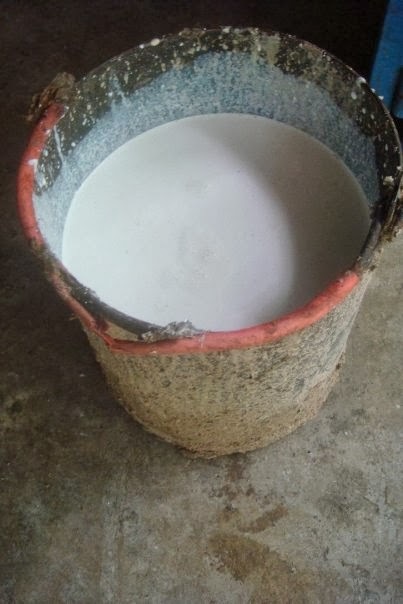 The liquid, which quickly dries and turns into rubber, comes out of the tree white. Who would have guessed? I also got to drive an electric bike out to the rubber tree farm which ended in some good laughs when I tried to turn and the breaks did not work. FYI - on an electric bike there is such thing as a turbo button.